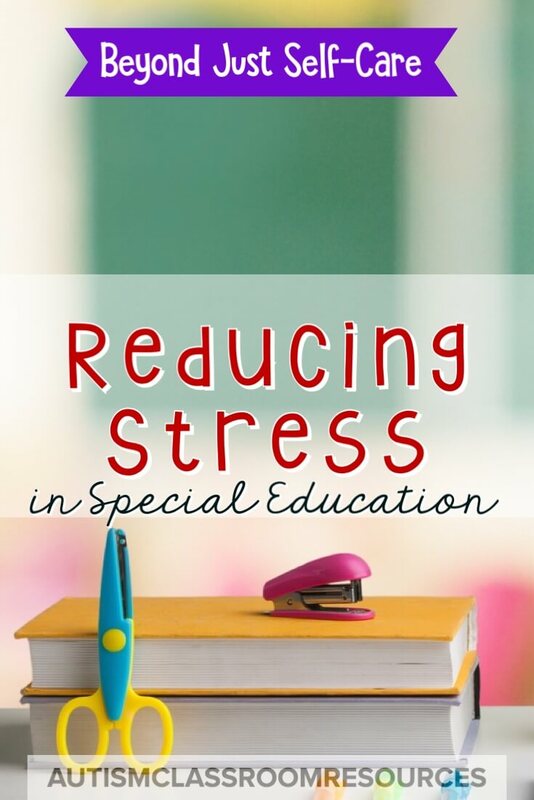 In the Special Educator Academy I recently did a workshop on reducing stress in special education. Let’s face it, we all know how stressful teaching in special education, or any kind of education, can be. We hear a lot about self-care and taking care of ourselves as a way to combat stress. And definitely making sure to sleep, eat right, and exercise are important. But there are also things we can do about the way we do the job that can lessen stress. Some of our stress is caused by the job. And the stress is sometimes caused by our own high expectations of ourselves. I’ve talked about ways to prevent burnout in past posts here and here. Have you heard of the concept of Decision Fatigue? I ran across the concept a year or so ago. Decision fatigue is just what it sounds like--making decisions wears you down. It takes mental energy to make decisions. And teachers make thousands of decisions every hour. Constantly having to multitask and think about what strategy will work. 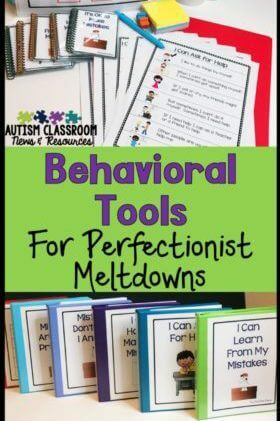 Wondering how to handle a behavioral situation or what to say to the student who is crying. And why is this student is doing better learning to add? These are just a few of the things you have to think about in the course of a day. Over time, making constant decisions wears our willpower and self-discipline down. And we stop spending time analyzing decisions and we make more spur of the moment ones. There is even research that demonstrates the impact of decision fatigue affects decision making for judges and parole boards. But the good news is that there are things you can do to combat decision fatigue in your classroom and your life. Our Academy workshop focused on 4 main areas of stress reduction. I’ve pulled some of the solutions from the Thoughts section to share that are specifically related to decision fatigue. Creating a 1-man down zoning plan also helps at those times when staff is out. Your decisions are made in advance, making it much less stressful. One of the best ways to reduce both stress and the number of decisions you have to make each day is to train your staff. This allows them to operate more independently and make some of those decisions without you. And it reduces your concern about your students when they are not working directly with you. In the Special Educator Academy, one of our 1-hour workshops focuses on strategies for training staff in the classroom. It focuses on practical tips of how to get it done as well as strong training principles. Click the picture to check out the Academy. This one is true for your classroom and your personal life. Did you ever wonder why Mark Zuckerberg only wears hoodies and jeans? It’s to reduce the number of decisions that he needs to make every day, Now, I am definitely not advocating for wearing the same clothes combination every day (but feel free, no judging!). However, laying out your clothes the night before might be a help. I know that I actually have smoother mornings when I’m on the road because I have a limited number of clothes to choose from. Put your workout clothes out if you workout in the morning. Or put them in a gym bag on the handle of the door you use to get to your car for work so you have them with you. 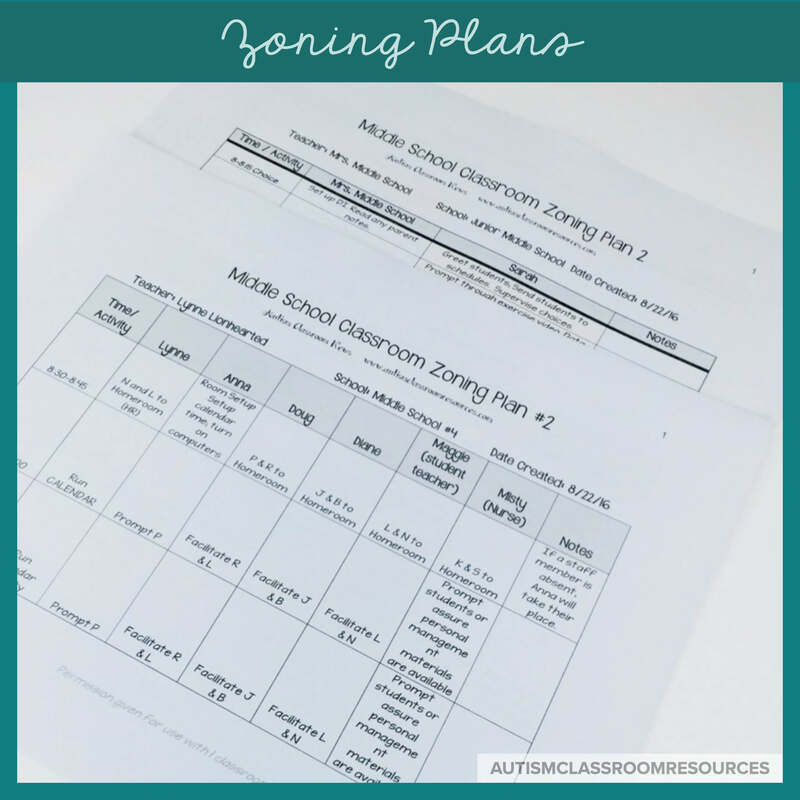 Have your aides set up your classroom at the end of the day so it’s ready to go in the morning (e.g., resetting schedules, setting out table tasks). Set up your morning meeting the day before so that you don’t have to make decisions about songs etc. Giving direction so that staff can set up activities before you get there so that the students are engaged. Then you don’t have to figure out how to keep them busy while looking for the stuff you need to run your activity. 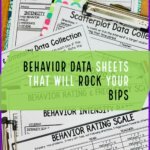 Some of these might be created by your administration, like an IEP checklist. Some may be available from other professionals or with specific curricula. For instance, in my Classroom Team Building and Zoning Plan Tool Kit, I have a checklist for creating the zoning plan. I included it so that you have something to job your thoughts about what to include. 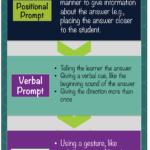 A useful template would be for your home-school communication system. Something like my Homenotes allow you to communicate clear and concrete information. The checkboxes and pictures are good for making sure you get information you need from other staff. But they are also good for reducing your decision making about what information you should include in the note home. 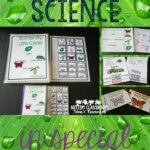 Using written teaching programs, like the one in my sequencing kit, can help because as you are teaching you can focus less on what the next step you need to teach. That means you can focus more energy on the student. Having a template or a checklist helps because you can rely on that instead of your memory to set things up. That reduces how much you have to think about them and how many decisions you need to make. And that reduces your stress. So, in general, the more systems you create that can run themselves, the fewer decisions you need to make on the fly. The fewer decisions, the less stress. Our jobs can be stressful, sometimes because of the students and their behavior and sometimes because of administrative or systems issues within your school or district. Or both. Obviously there are other components like perspective, taking care of yourself, setting limits on time on the job, and more that can play a big role in that. But reducing decision fatigue can take one factor out of the stress equation. Want to find other ideas for reducing stress and interact with other special educators who know what you’re going through? 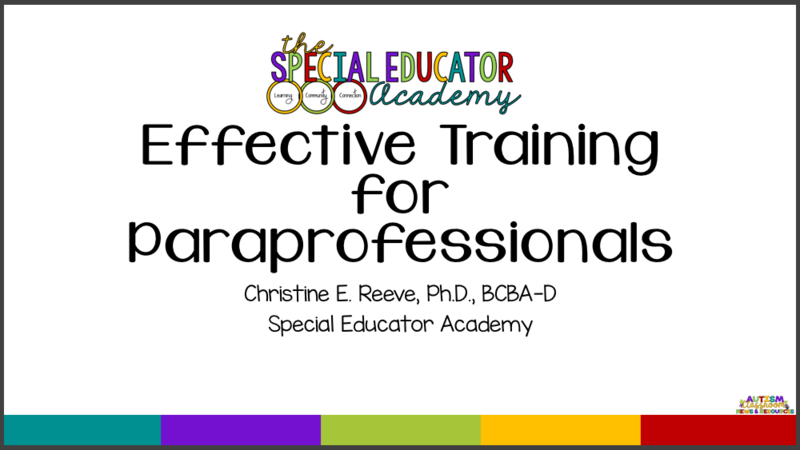 Come join us in the Special Educator Academy where we have online training, resources for setting up key systems in your classroom, and a community of people who understand what you do.